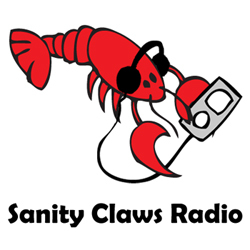 Sanity Claws Radio: The Venture Brothers! The guys talk about one of the best cartoons on Adult Swim on this week’s episode of Sanity Claws Radio! Ben, Badger, and Jon sit down to talk about one of the greatest cartoons ever produced, The Venture Brothers. The guys talk about their favorite characters, amazing plot lines and listen to clips from the show. Also, Ben goes retro, Badger is stuck exploring the Borderlands, and Jon has mixed feelings over the zombie apocalypse. Finally, we round out the show with a feisty round of I Can Top That! Join in won’t you? ← Max Payne 3 – Out the Window Achievement!